Deep breath, everyone. We’ve been waiting anxiously for any and every piece of info we can get about “Avengers: Endgame” ever since “Infinity War” blew us away by killing off most of the of Marvel Cinematic Universe’s roster of heroes. 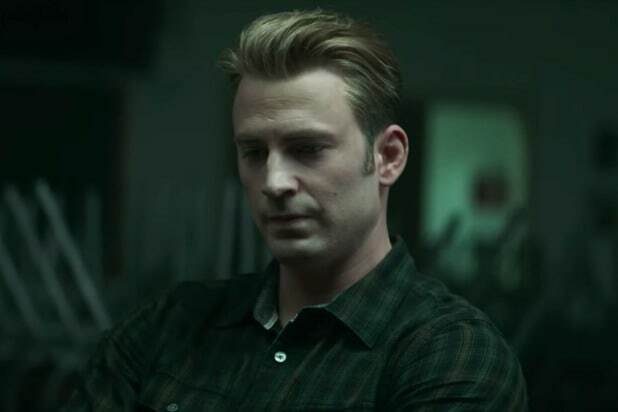 We just got, during the Super Bowl, our second piece of marketing for “Endgame,” after Disney dropped a short teaser trailer back in December. This Super Bowl ad was just 30 seconds long, but it may actually have more substance than the previous trailer. It’s all just a bunch of context-free stuff at first glance, but there may be a lot going on here. 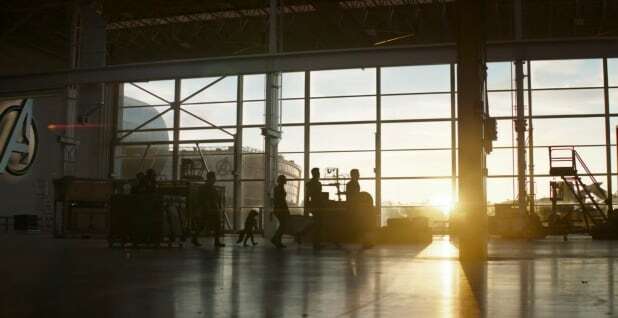 I’m going to make that argument, anyway, over the course of the rest of this article as I break down the biggest shots from the “Avengers: Endgame” Super Bowl ad. So let’s try to figure out what we learned from this thing. That’s not surprising at all, of course, given what happened. But this spot gives us two shots that demonstrate the weirdness of this new world. First, a shot of Liberty Island in New York with tons of boats surrounding it. And, second, a shot of Citi Field in Queens, where the Mets play, completely empty with the diamond faded. These two very brief shots say a lot. So after the Thanos snap, everybody who’s left is obviously very upset about the whole thing, with half of humanity just deleted from existence. And so Captain America himself, Steve Rogers (Chris Evans), is going to a support group. 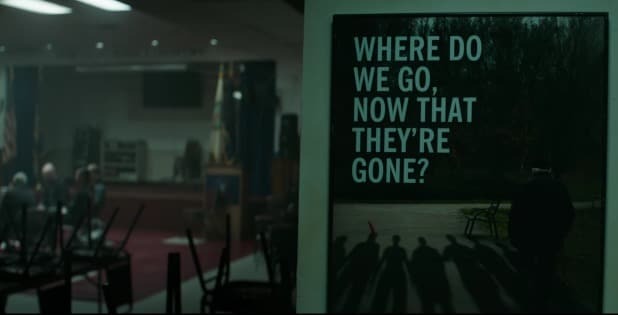 “Where do we go, now that they’re gone?” reads the sign. But Steve doesn’t look like he’s ready to accept the new reality. And it certainly doesn’t sound like he’s ready to accept it. The Super Bowl ad has exactly one line in it — Steve saying, “Some people move on. But not us.” HMMMM. So the first trailer started off with Tony (Robert Downey Jr) acting all morose and recording a message to Pepper (Gwyneth Paltrow) about how he’s going to die in space. This ad shows Tony one time, doing something with a blowtorch to the guts of the ship he and Nebula (Karen Gillen) are stuck on. This, of course, makes me immediately think of the first “Iron Man” film, when Tony built his first suit when he was captured by an Afghani warlord. Just Tony doing Tony things in order to survive. I bet he’s gonna plug the arc reactor on his chest into the ship somehow, to really drive that comparison home. 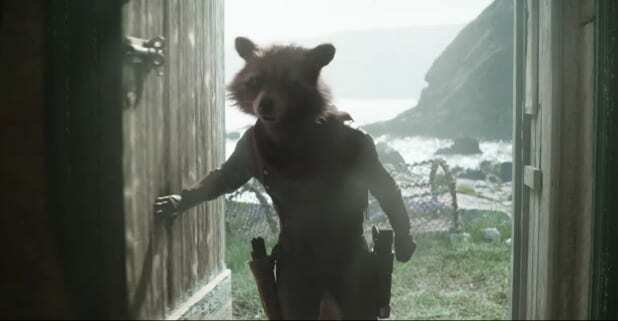 But Thor (Chris Hemsworth) is not in that cabin that Rocket was entering. It kinda looks like he’s in a space ship that just landed somewhere. Or maybe some kind of alien ruin? But where in the world could it be? I have no idea. There’s no indication about what’s going on there, though an earlier shot shows some of the other surviving Avengers standing dramatically in front of Avengers HQ. But they’re not in suits in that previous shot. This time, Ant-Man (Paul Rudd) and War Machine (Don Cheadle) emphatically shut their masks like they’re ready to go at that moment. Are they just gearing up for a mission elsewhere, or is the war coming to them? So the longest shot in the trailer is pretty inexplicable. It’s Steve Rogers holding his shield — his original shield, not the dual Wakandan shields from “Infinity War” — and violently tightening the strap holding it to his arm. This bit is super intriguing because out of context it doesn’t make any sense. Given how sort of angrily he pulls on that strap, you have to think this is happening during an intense moment. Could it be in the climactic fight at the end of the movie? Would the Russos really have slipped something from the end of the movie into a trailer? Well, they put a shot of Tony being sad about Spider-Man’s death into an “Infinity War” trailer. So yes. It’s very unlikely that we’re going to see all the Avengers together — even just the ones who are alive at the beginning of “Endgame” — in the marketing, but at the very least we get every Avenger who survived Wakanda, plus Rocket, in one shot in this commercial. It feels good, even if the shot doesn’t look like a happy one and you can barely even see them. Captain America, Black Widow (Scarlett Johansson), Thor, Rocket, War Machine, Ant-Man. Man. “Avengers: Endgame” is out April 26.